Originating in Asia about 2,000 years ago, Kombucha contains a large number of healthy bacteria, or probiotics, making this drink incredibly beneficial to your heart, brain and most especially your gut. Get your morning started with this energizing and refreshing Kombucha smoothie! 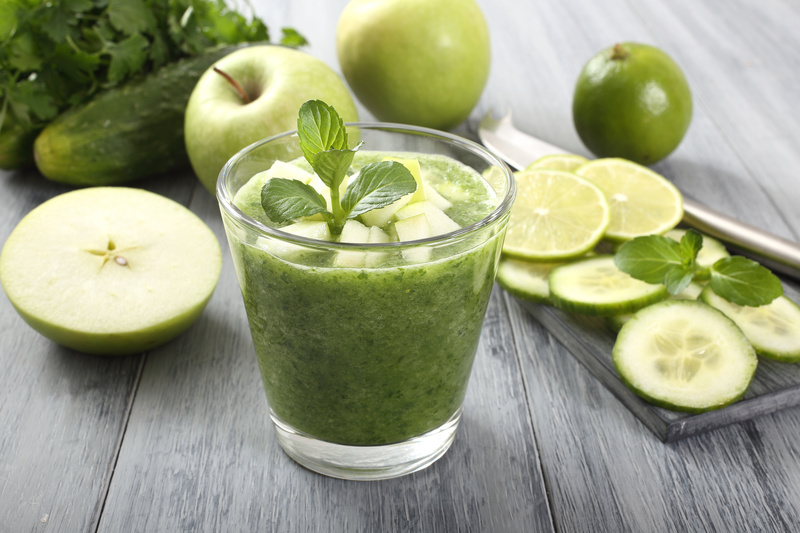 Recipe adapted from the Apple, Cuke, Parsley, Mint Smoothie in Super-Charged Smoothies by Mary Corpening Barber and Sara Corpening Whiteford (Chronicle Books). Contributed by Alison Eastwood, RD, San Francisco Bay Area Food and Nutrition Expert, Nutrition contributor to Super-Charged Smoothies.